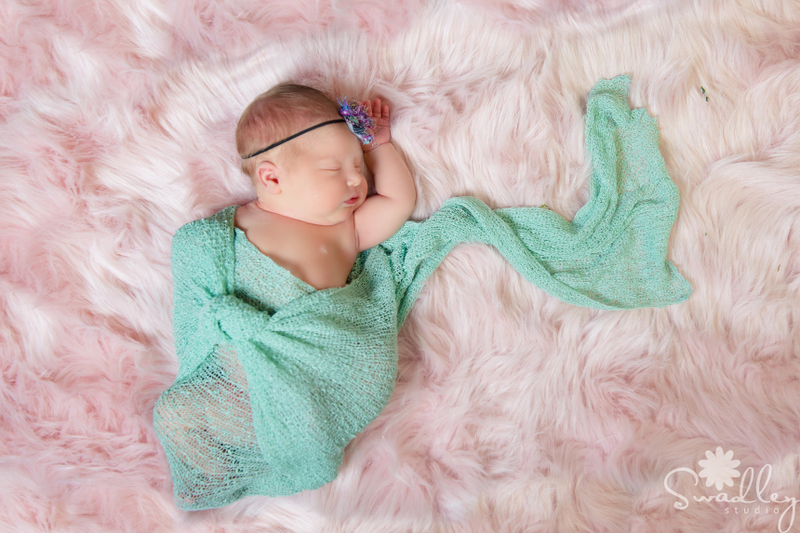 I fell in love with this precious newborn girl during her portrait session! At the start of the session, her daddy said that she would give lots of smiles and is a really good baby. 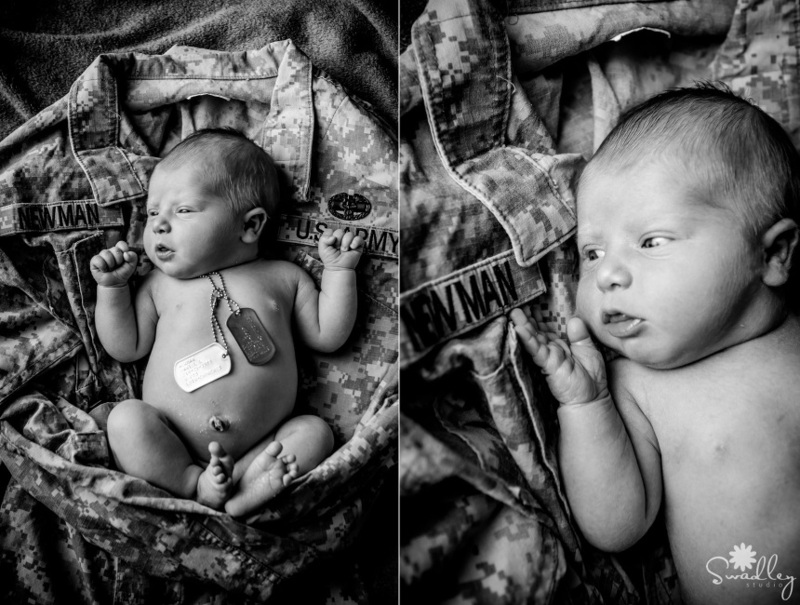 I’ve heard that before, and while it may be true at home, being folded and handled naked in a portrait session is much different than being cozied up on daddy’s chest all day. I warned them she may be a bit more unsettled than she is at home, but this little girl proved me wrong! Not only did she handle all the crazy posing, but she stayed so content even while awake to give us some wonderful smiles and cute little faces (yes, I know they aren’t real smiles, but they sure do look absolutely adorable!). Mommy & Daddy is in for a wonderful life with this sweet little one! 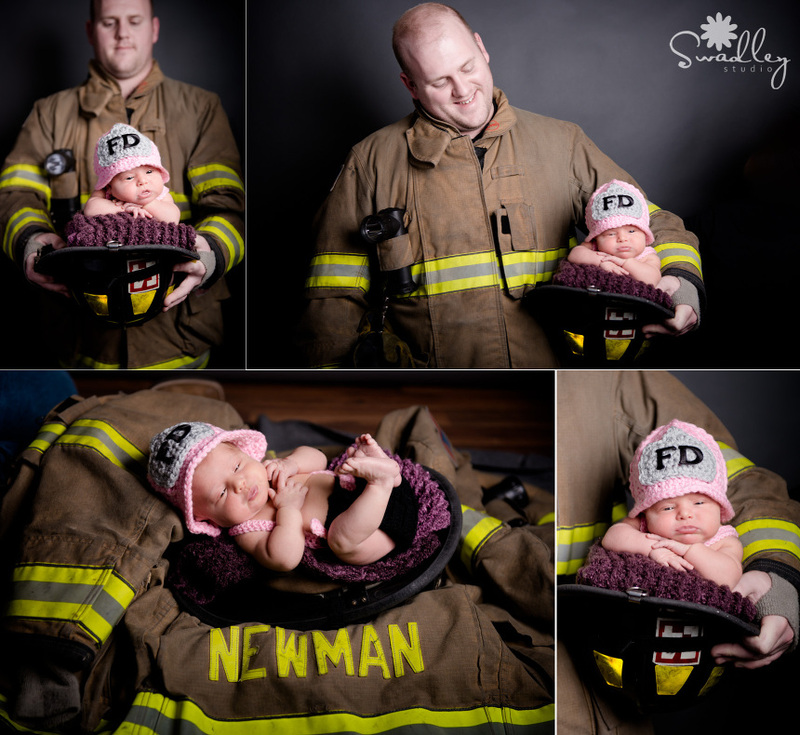 Her daddy is a firefighter, and retired army, so of course we had to do some images showing off her hero! These faces she made cracked me up… I even caught a cute little sneeze! She has a bee-themed nursery, so we did some that would look great hanging in her room. Kisses from Mommy & Daddy are the best!